Wow! It has been a long wait. For the last four years I have shared a library to teach science as well as used the teacher's lounge to teach over 400 students. The little box I called a classroom was barely large enough to fit 6 round tables in. I would have the students come in and have to sit in one spot because their wasn't enough room to move around. Over the summer, our school has taken on a renovation transformation! We added a whole new wing making us the largest elementary school which houses Pre-K-5th grade. Throughout the summer, I could go in to school to tend the school garden, but my room wasn't ready to really work completely on until a week before school started...a week before open house. Phew...I made it. Makerspace area in my room with supplies that are labeled and special tables for meeting with kiddos when they need my help! Didn't have that in the teacher's lounge! After hours of work at home readying bulletin boards, making my own letters, filling makerspace buckets and keeping them in the car and sneaking them in when I could...I was able to get a few things done when I went into the garden. I just took a bit of a detour. DOK posters! I went to a conference last summer and I figured it was about time to implement what I learned! 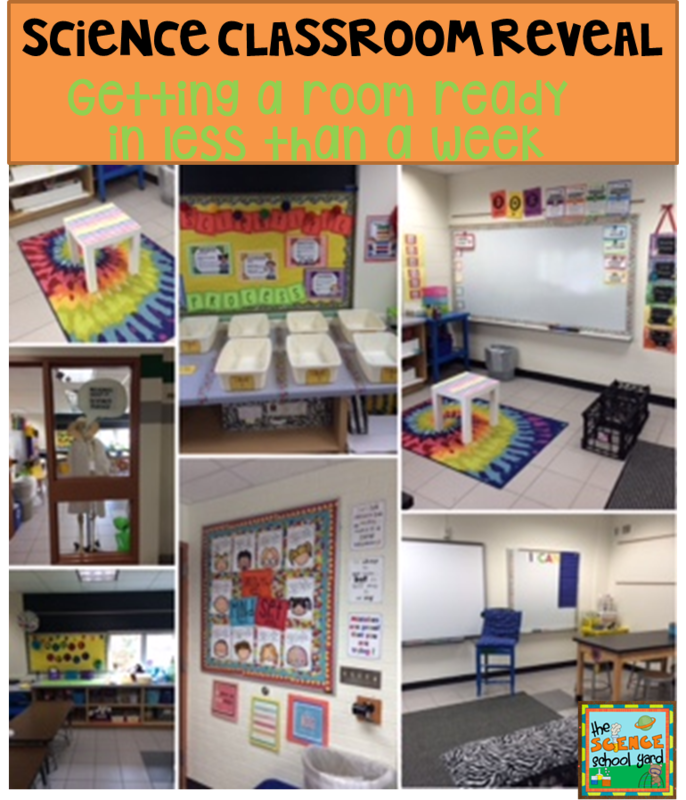 With a new addition comes new rules...nothing hanging from the ceiling...no curtains...nothing on the doors...no class pets...pillows must have tags (notice one of my benches has no pillows, I had to take them home because they were missing tags) the list was pretty long. It's not much for flexible seating, but the kids love it. There are my empty bench seats. My pillows were missing tags and I had to take them home. Finding replacements this weekend! 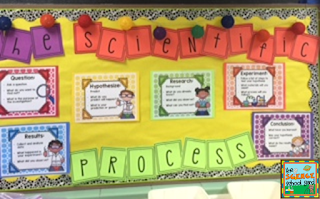 I also worked over the summer on some new scientific process posters and activities for the first week of school. I love how colorful they are and how they look! 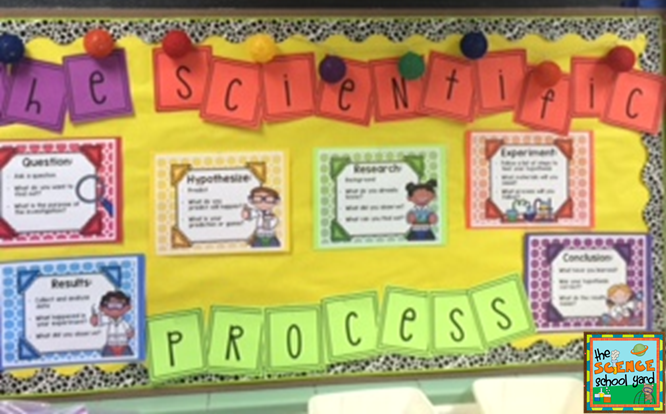 Love this bulletin board. I will be referring to it all the time! Flexible seating is being used throughout our school: from couches to bouncy balls...cushions to beanbags. So, as a science teacher, I thought I would give it a shot. I found a simple table and covered it with Target's contact paper. I created some bench seating for around our carpet area. 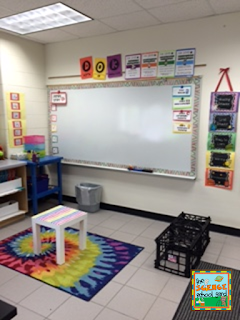 We also have extra tables for students to sit at and ample floor space to use the carpet squares. Most of our work is done in teams, but if an experiment lends itself to movement these kiddos have options! At the door we have different areas as well. 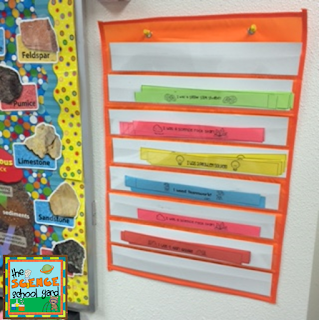 An area to pick up sheets...a place for our brag bracelets...and a shelf for this week's worksheets. However...we are a 1:1 school this year. Each one of our kiddos have I pads that they can use. I have buckets ready to go for each table to put them in so they are safe from our activities. 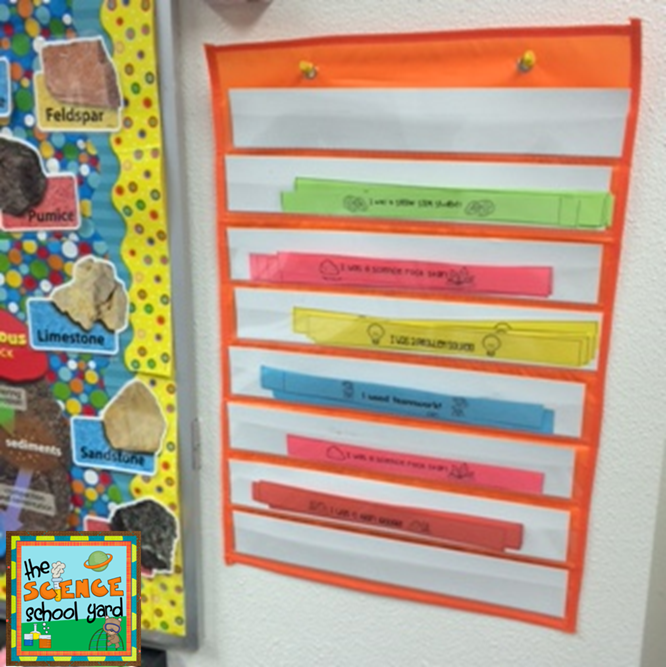 We will be using Explain Everything to help us keep a folder so we can explain everything and keep it in one place. Can't forget my Science Brag Bracelets! You can find them in my TPT store. I can't wait to get to use them! Our room would not be complete without Mr. Bones. 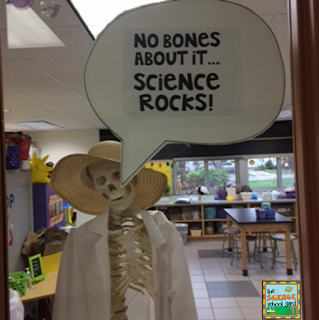 My husband is a health teacher and some naughty high schooler stole his arm, so I got Mr. Bones for our room a few years ago to teach the Human Body. He just stayed and now is a permanent line leader and door greeter. 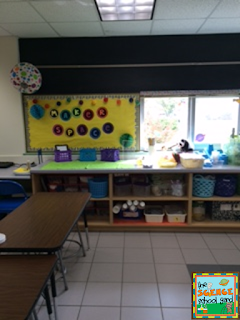 Thanks for stopping by my 2016-2017 Classroom Reveal! I still have to label some things, and I can't find where I put items away in the cupboards, but when this week is over, I am going to add it to my to do list! 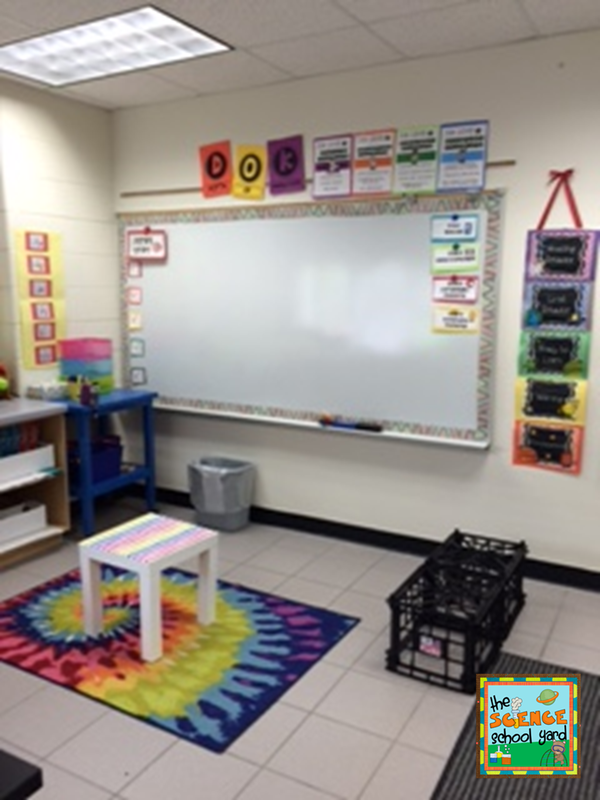 It's not much...but it's my little piece of heaven for my students! I can't wait to keep adding to it as I get more time to add the finishing touches!